Faith, friendship and family – and the challenges of being different in America. Eleven year-old Daud, the son of a religious imam in Brooklyn, is mistaken for a Jewish boy. He becomes conflicted after befriending Jewish kids his age, and the longer he plays out his double life, the more he risks driving a wedge in his family. 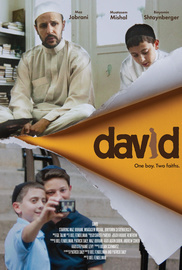 This prize-winning film explores boundaries of faith and trust in New York’s multi-cultural backdrop.